This can only be added to the bag before purchase. It cannot be added retroactively. PLEASE NOTE: Adding this velcro strip makes your bag custom, so it cannot be returned. We know people like to customize their bags beyond anything even we could dream up, so we've created this simple additional strip that can be used to attach velcro patches or our Halo Strip. 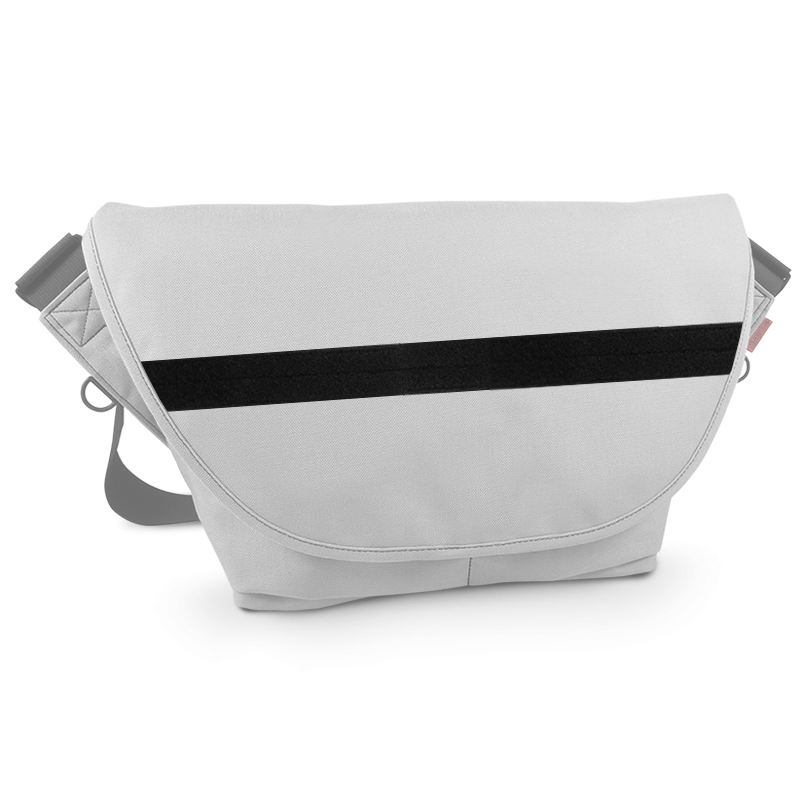 The strip of velcro can be added to virtually any bag, but the Halo Strip is only compatible with our Medium and Large Zero Messenger bags. "I requested an extra strip of ve..."
I requested an extra strip of velcro be attached to the outside of my Zero Messenger bag, as in the preview picture, so I could stick things onto the outside of my bag with ease and it's fulfilled my needs nicely! This was a placeholder for Magnetic Velco Silencers. They work like a charm, but more importantly, the customer service from Rickshaw is top notch. I doubt I will be needing a replacement bag or parts anytime soon, but if I do, I will be heading back to Rickshaw first and foremost. Thank you Helen for your wonderful customer service!